The UK Government is being urged to take “swift action” to limit the costs of the smart meter rollout to consumers. Which? has written to Energy Secretary Ed Davey ahead of his speech at the Lib Dem conference today, calling on him to control costs in the long run by exploring three measures. The consumer body’s suggestions include centralising procurement of meters and providing early guidance on steps that suppliers need to take as “current lack of clear guidance” is causing uncertainty among some energy providers. It is also calling on DECC to co-ordinate a “more efficient approach” to the purchase and installation in multi-occupancy buildings such as flats and high rises as “there could be installation visits from multiple suppliers or incompatible equipment installed which means an unnecessary duplication of equipment, effort and cost”. 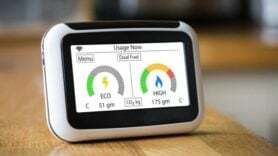 The Government’s smart meter rollout requires energy suppliers to replace 53 million meters in homes and small businesses with smart electricity and gas meters by 2020. The call follows the Public Accounts Committee’s (PAC) warning that energy customers will have to fork out £215 for the installation of smart meters that will only save them around 2% on their annual bill. Richard Lloyd, Which? Executive Director said: “Without immediate action the cost of the smart meter roll-out is in danger of spiralling out of control, while consumers foot the bill. DECC Ed Davey Smart meters UK Which?